Although Phoenix offers a huge array of attractions for tourists, we have a suggestion for your next trip: ditch your standard travel guides and go where the locals go. 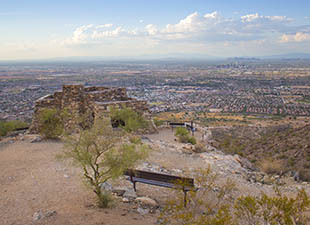 Although Phoenix offers a huge array of attractions for tourists, we have a suggestion for your next trip: ditch your standard travel guides and go where the locals go. Experiencing the city like a Phoenician will save you time and allow you to soak up the best local culture. 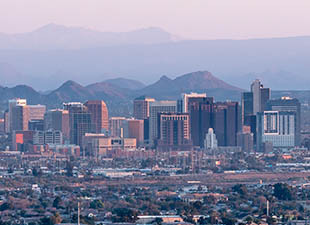 Fortunately, the “Valley of the Sun” offers up some great local hot spots and hidden gems. 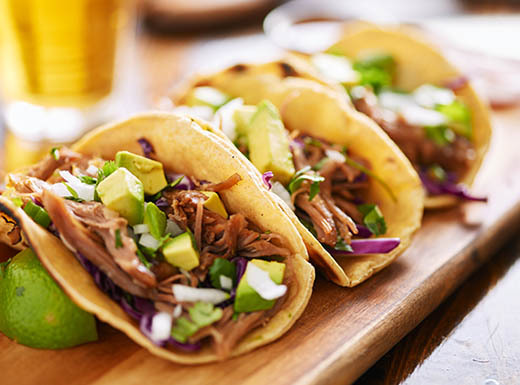 For delicious Southwestern cuisine, craft beers, and tequilas, local diners head to Taco Guild. This former church-turned-gastropub embraces its architectural past with features like stained glass, original wood beams, hand-crafted pews, and old-world lighting. When it comes to pizza, nothing compares to Pizzeria Bianco. Fresh ingredients, the perfect dough, and yummy flavor combinations keep customers returning to two Phoenix locations. Topped with wood-roasted onion, house-smoked mozzarella, and fennel sausage, The Wiseguy is a favorite. 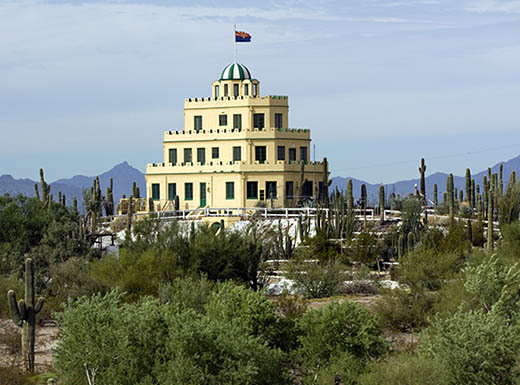 The unique “wedding cake” style and scenic cactus garden make Tovrea Castle a popular Phoenix landmark. Those who wish to tour the site should make reservations months in advance. Also worth touring for its beautiful blend of architecture and scenic beauty, Taliesin West in Scottsdale (about 40 minutes outside Phoenix) is the former home and desert laboratory of renowned architect Frank Lloyd Wright. Few attractions showcase the local flora better than the Desert Botanical Garden with five distinct walking trails. 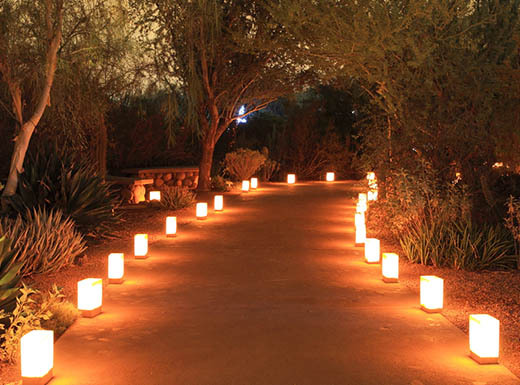 From late May to September, flashlight tours allow visitors to experience the landscape at night, and during the holidays, thousands of luminaria and string lights infuse the grounds with festive charm. 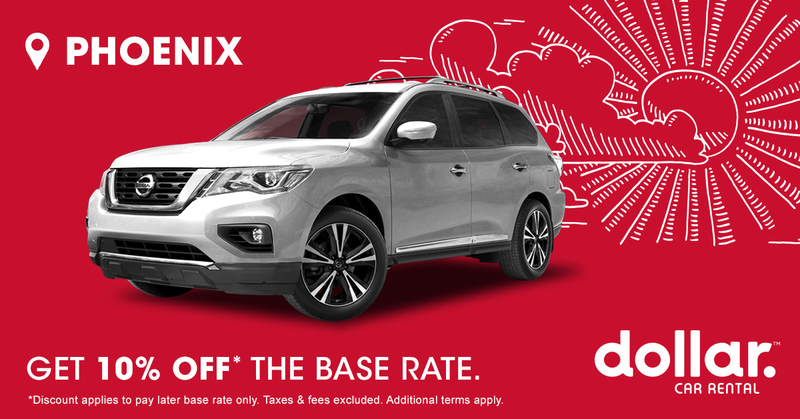 Phoenix provides a little something for every music lover. 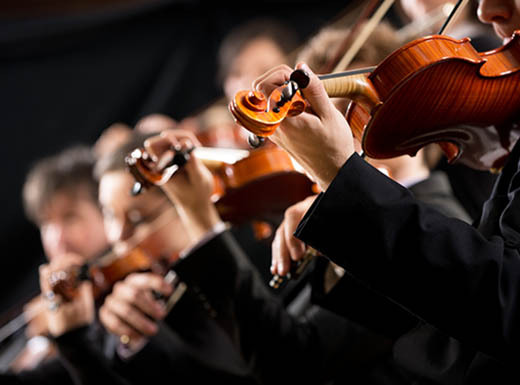 Featuring educational programs and year-round events, The Nash is the place for all things jazz, while the Phoenix Symphony is the spot for classical music. Locals with a penchant for blues, R & B, and soul turn to Char’s Has the Blues, while country fans two-step the night away at Bourbon Jacks. Indie, punk, and rock enthusiasts find their happy place at The Pressroom, Crescent Ballroom, Yucca Tap Room, and Last Exit Live. Fiddler’s Dream Coffeehouse offers acoustic music in an alcohol-free setting. When it comes to creativity, Roosevelt Row in downtown Phoenix delivers. Visitors enjoy vibrant street art, live music, and a host of shops, galleries, and restaurants. For art lovers, First Friday art walk offers beautiful artwork and great prospects for people watching, while artist receptions on the third Friday of the month attract smaller crowds and feature complimentary wine and cheese. For local masterpieces from a different perspective, the Heard Museum features a diverse collection of art by American Indian artists. 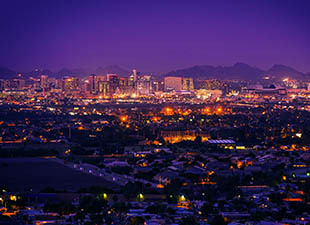 Phoenix offers a number of festivals and fairs throughout the year. In March, Devour Culinary Classic in Desert Botanical Garden serves up some of Arizona’s best food and beverages in a beautiful outdoor setting. In October, Lost Lake Festival delivers an eclectic mix of music, local art, cuisine, and over-sized adult games like croquet, bocce ball, table tennis, and billiards. Bands like Chance the Rapper, Ludacris, The Killers, and Huey Lewis and the News offer amazing listening experiences for music lovers, ranging from millennials to baby boomers. Are you ready to “walk like a Phoenician?” Take advantage of the tips above to soak up the city’s culture, and share your travel experience with us on Twitter. Whether you’re sitting down for a leisurely meal or grabbing something on the go, Phoenix is brimming with local flavor.